The Qualcomm Snapdragon 800 was quite powerful and powered flagships from the latter part of 2013. Now it is MWC 2014, one of the biggest mobile events of the year. Companies are going to refresh their flagships. The Qualcomm Snapdragon 800 is perfectly adequate, in fact it is more than enough, but when launching a new flagship, do you stuff it with the same amount of power as the previous flagship? No, you increase the power. 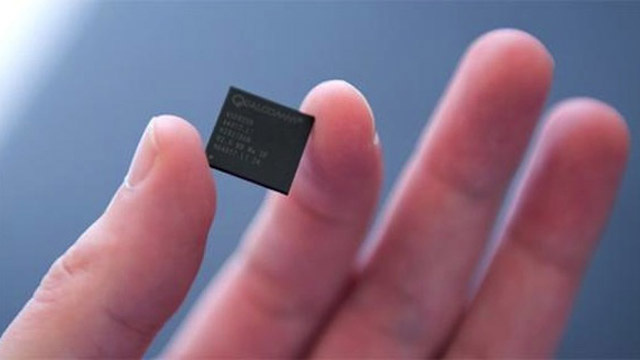 So Qualcomm has announced the Snapdragon 801, a minute increase both in terms of name and performance. The Snapdragon 801 has the same pins as the Snapdragon 800, so essentially you can swap a Snapdragon 800 out and put a Snapdragon 801 in place of it. It has the same quad core 32 bit Krait 400 ( Modified Cortex A15 version ) as the Snapdragon 800 only with higher max clock speed, Adreno 330 GPU and it is made using a 28nm manufacturing process. Storage performance has been increased as Qualcomm has added eMMC 5.0 support. The max clock speed of the CPU is 2.46 Ghz compared to the 2.36 Ghz of the Snapdragon 800 while the max GPU speed is 570 Mhz compared to the 800’s 450 Mhz and the memory bandwith also has been increased, from 800 Mhz to 900 Mhz. So 10% CPU performance improvements and 30% GPU performance improvements. Although these improvements sound insignificiant, they all come together for small but definitely noticeable performance improvements. The Snapdragon 801 has enabled the companies to put something new into their flagships, while Qualcomm doesn’t have to get back to the drawing board to reinvent the wheel. A win-win situation for both. UPDATE : We have done an MWC 2014 roundup where we have rounded up all of MWC 2014’s news in one place for your convenience. Do check it out!